Technology is advancing faster than most global organizations can consider their current needs, a reality that carries particular weight when it comes to essential functions like payroll. While the beginning of the millennium saw significant advancements in software solutions for areas like human resources, sales, and IT, payroll today is keeping pace and even furthering related systems through new integration possibilities. 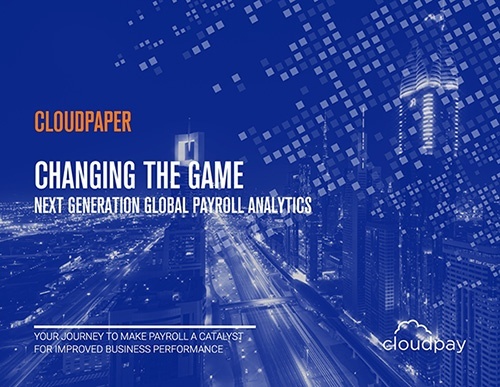 As they expand into new regions and markets, organizations of all sizes are coming to realize the importance of good global payroll, as well as what’s needed to meet the often competing, changing requirements in various locations. The next step is determining how their existing payroll solutions measure up against what’s possible, beginning by evaluating their current systems’ performance. Like so much of business today, it all comes down to getting the data you need in front of you — though for most of us that is easier said than done. Which is why we’ve pulled together a checklist to help you prepare for a payroll performance review. By the time you’ve completed these four steps, you’re sure to have a deeper, more accurate, and more useful view of your existing payroll process. Before speculating over a system change or even naming existing problems, it’s essential to have a clear picture of how well your current payroll solution performs. This includes assessing your level of centralization and process standardization, evaluating the overall timeliness and accuracy of payroll outputs, and identifying the process management tools available and their usefulness. Additionally, it’s important to understand the full cost of your payroll, including often hidden costs like overpayments or IT support, and have an idea of how satisfied everyone is with the current system, from employees to the payroll team to company leadership. While additional research may be needed to fully evaluate your current system, taking this online payroll maturity assessment (developed with research firm NelsonHall) is an easy way to get started. By answering a selection of general yet targeted questions, you’ll receive an overall score of your existing payroll and details of any aspects due for improvement. It’s one thing to understand the value of performance analytics and another to have the data required to achieve useful analysis. Organizations should know where their payroll data is, understand how often it’s updated and when, and have full accessibility on demand. Visibility is key, not only for making good use of your data but also for complying with security requirements. It’s not uncommon for multinationals with payrolls across five countries to have as many providers, meaning their global payroll data is run through at least that many different systems and making true visibility impossible. 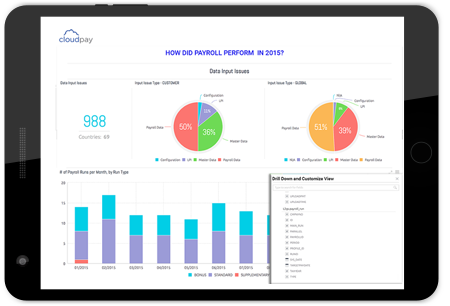 Companies with centralized payroll data in the cloud have a clear advantage when it comes to understanding their payroll performance because all the information is in one, accessible place. Typically such data is complete, secure, up to date, and ready for the kind of comprehensive analysis companies need. Before crunching any numbers looking for performance insights, it’s important to check that your payroll data is correct, complete, and in a consistent format that lets you accurately compare figures across your global footprint. Essential to any performance evaluation process is a clear understanding of both desired and necessary outcomes. In an area like payroll, where the main objective may be considered obvious, it can be even more important to have specific goals against which to measure system performance. For example, an organization running international payroll for the first time is likely to focus on different aspects of the process than one that has recently consolidated its global payroll to a single provider. Before you begin, make sure you know what you’re looking for. When your current system was researched and selected, the stakeholders involved likely outlined their requirements and identified expected results. Now is the time to review those goals and use them to guide your evaluation. While recent growth or workforce changes may prompt you to revisit those goals going forward, use them as they are for this initial evaluation so you can clearly determine how well your system is performing against expectations. Whether you rely on SLAs, KPIs, or a combination of the two, metrics are the means of determining how well your payroll performs. At the most basic level, key metrics for payroll include factors like timeliness, accuracy, total payslips, total headcount, and error count. However, there are several metrics that provide deeper insights into the payroll process itself, not just the results, such as how often a payroll is approved upon first review or the percentage of errors caused at the data input stage. This information can be invaluable in helping pinpoint issues and bottlenecks in the process, as well as illuminating possible fixes. Within your system’s reporting and analytics capabilities, the metrics you measure should reflect the set goals for your payroll. Tracking those figures against previous cycles and anticipated outcomes is important for understanding the potential of your current process and system. Additionally, benchmarking your numbers against those of comparable companies (whether in size, footprint, or industry) can be helpful for putting your evaluation in context. These four steps will bring you closer to understanding your payroll process and how well it performs against your needs and expectations. 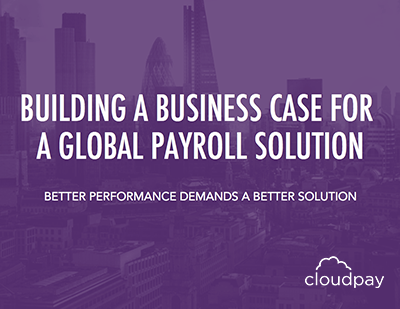 Review and repeat as necessary to begin working toward a more strategic and effective global payroll process.